With BVG not hosting the Yoscars this year. We decided that we will host it this year! 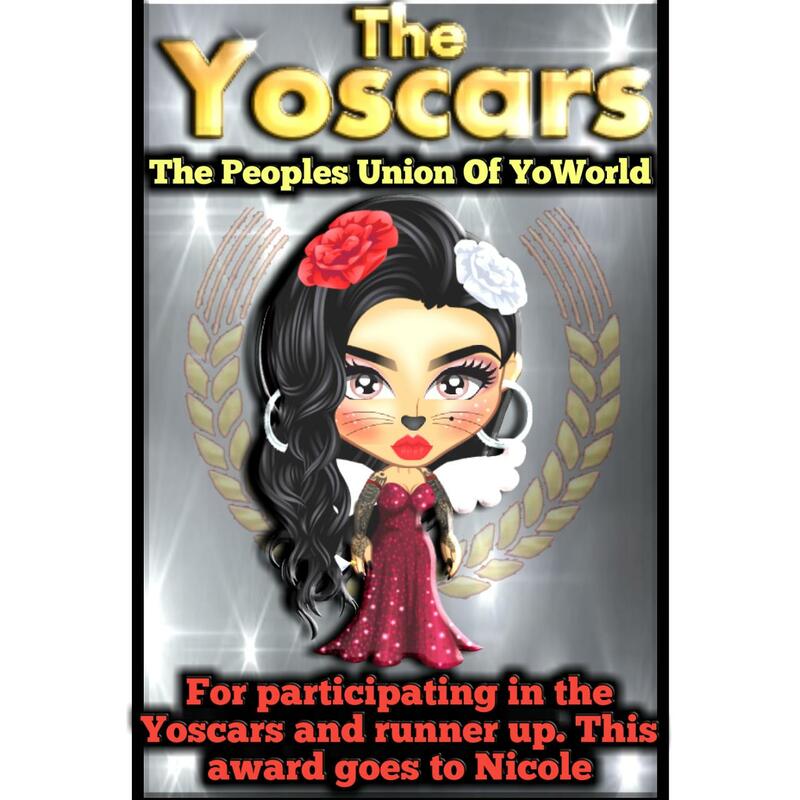 You can enter here or on there page The Peoples Union Of YoWorld. This event is open to everyone in the YoComunity! Each player can enter each category once. Movies can be as long as you want. With a link to the movie. Songs must be 2 min long. 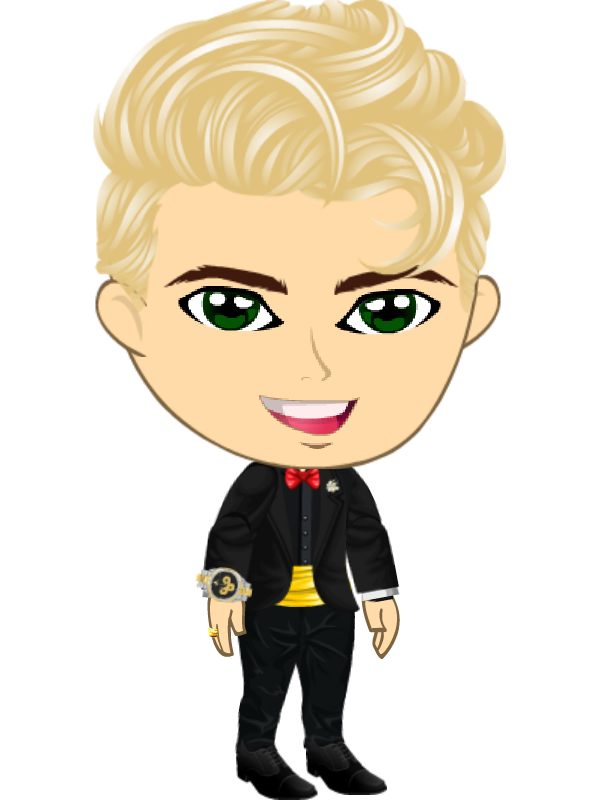 Dress your best for the Yoscars! Best 3 outfits will win a plaque as well as several others! First: Will win 10M in coins, and 2 hand held of choosing. Second: Will win 5M and one hand held of choosing. Links bellow to thank the group for hosting and those who donated! This event starts today and will end on March 20th at 12am EST. Ask any questions you'd like. Last edited by Cjw (110287477) on Wed Mar 20, 2019 4:09 am, edited 40 times in total. Sounds fun. Hope you get lots of entries. Fantastic! We are so proud to be involved. So So excited for this event! Proud that Russo Family is able to be involved and support such a fun and creative cause! Last edited by xXSilentHazeXx YCIA (180321526) on Sun Feb 10, 2019 1:45 am, edited 1 time in total. The People's Union of YoWorld is pleased to be able to host such event. Being able to step up when BVG is unable to provide is exactly what The People's Union of YoWorld is here for. We are here for the YoWorld Community! We strive to keep the community fair, bully free, and a fun place to spend time. So some are aware there is a lot of unfairness, bullying, sadness on YoWorld. As Premier Mamma stand up to these people everyday! I make sure people are do not feel alone. 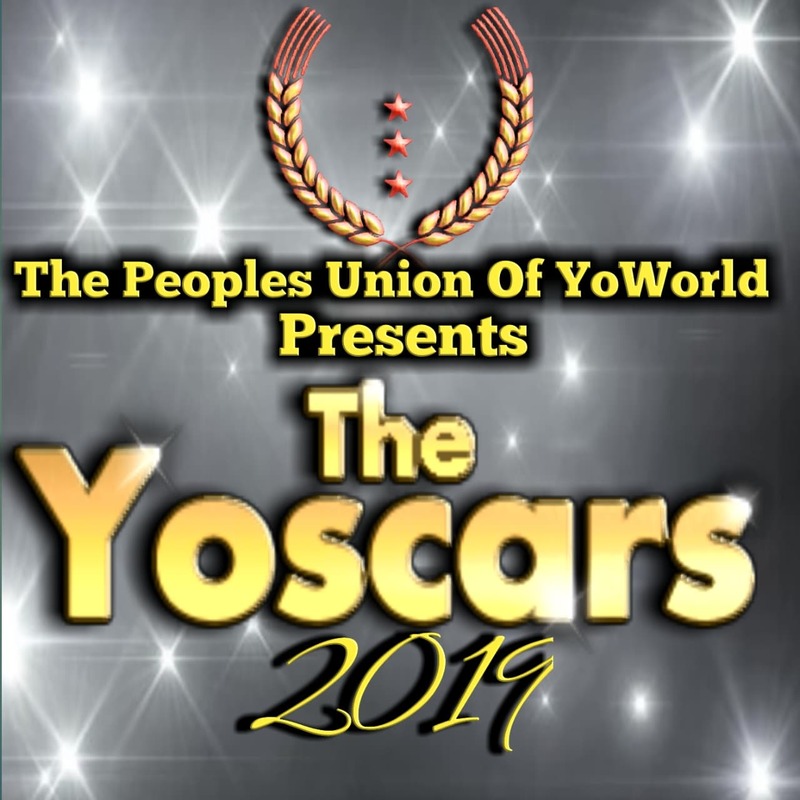 The People's Union of YoWorld has been going strong since 2011 and we will continue as we are only growing in numbers, building relationships with fellow Mafia's, Family's, Nations, and Groups. The People's Union of YoWorld serves as an honest, none discriminative nation willing to help other no matter what. To address Fellow member Haze of The People's Union of YoWorld. I would like to address as follows: First and foremost your negative comment shows exactly the kind of person you are. As a former CPC member your opinion is irreverent. But I will touch on a few comments made. 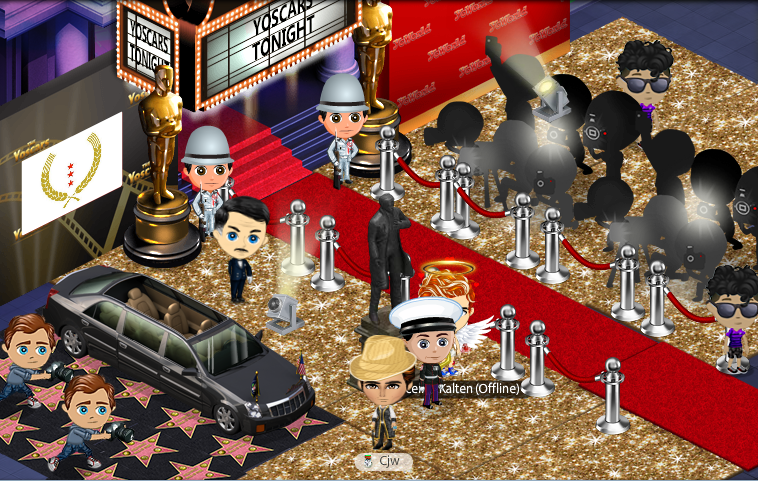 Yoscars is OPEN to ANYONE wanting to place an entry, in fact we are encouraging anyone interested to do so. 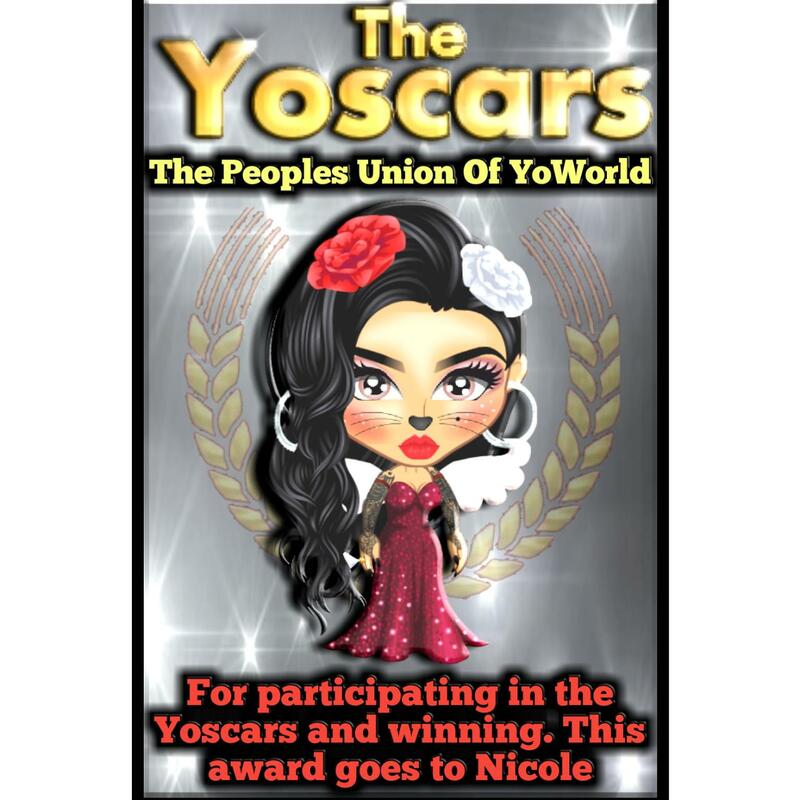 Secondly any contest entry placed will be voted on by the YoWorld Community, so that ends your debate on unfairness. Thirdly for someone who has started a group to be the informative surly has your facts incorrect, which just makes me second guess your reasoning for your group. And lastly as the largest nation on YoWorld a cry for attention is just invalid. The Dead line has been updated! We have more time for all the entries you can now enter each one once! Last edited by Cjw (110287477) on Sun Mar 03, 2019 8:12 pm, edited 2 times in total. Last edited by Cjw (110287477) on Tue Mar 05, 2019 2:20 am, edited 1 time in total. Last edited by Cjw (110287477) on Sun Mar 03, 2019 9:04 pm, edited 1 time in total. 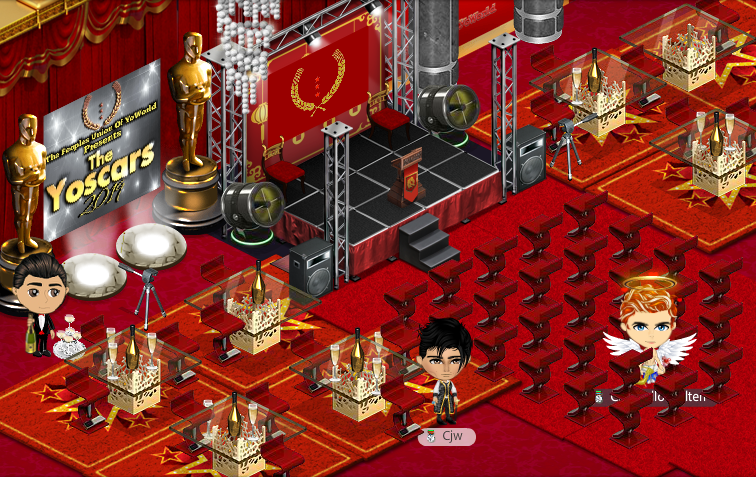 Rooms are ready for Yoscars! 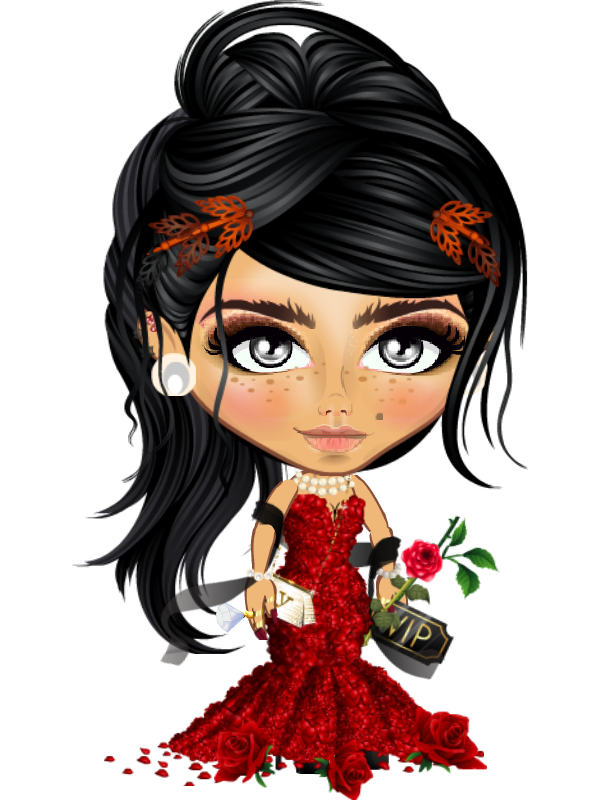 There's someone I think should enter for the outfit entry please let me see if that person is willing or has saved the outfit! Here is my music video entry! Last edited by ShaRcoaleyes PT (7767969) on Sun Feb 24, 2019 4:46 am, edited 2 times in total.